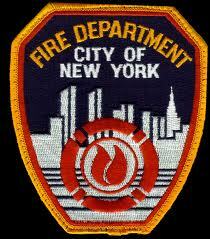 New York’s Bravest 365 days a year! on laser vision correction at Mandel Vision. Call us now, at 888-866-3681, to schedule your FREE evaluation with Dr. Mandel. Eric R. Mandel, M.D. is the founder and medical director of Mandel Vision, the premier LASIK center in the New York metropolitan area. Dr. Mandel is the only exclusive laser vision correction surgeon named in America’s Top Doctors, by Castle Connolly, for twelve consecutive years. An internationally recognized and published corneal micro-surgeon, Dr. Mandel has participated in refractive laser vision research for over 25 years. Click here to learn more about Dr. Mandel and our state-of-the-art Mandel Vision laser center, located in Manhattan. *This discount must be applied toward a bilateral LASIK or PRK procedure. Discount will be applied toward our full price procedure. This discount cannot be combined with any other discount programs.